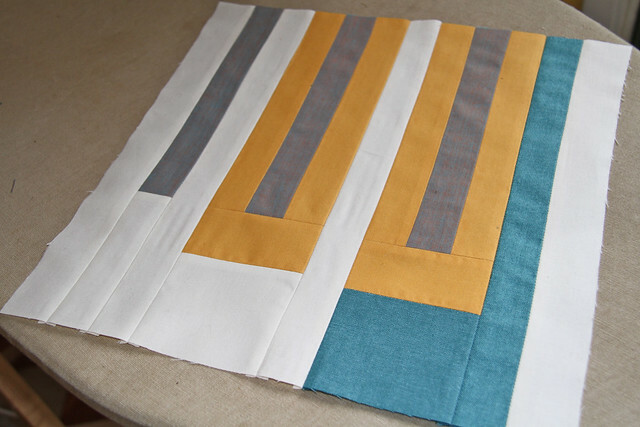 This final block wraps up the BOM that I've been doing over at Sew, Mama, Sew! You can see how it make it here. 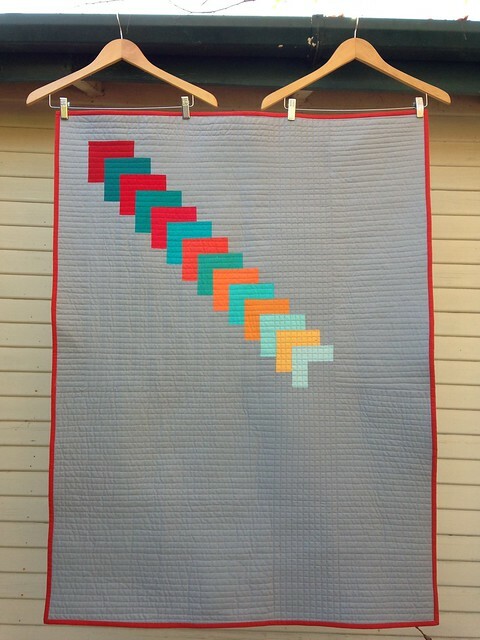 Don't forget that the giveaway for a copy of Quilting Modern is still running. Comment on this post to enter. Here it is! Only one more to go after this! 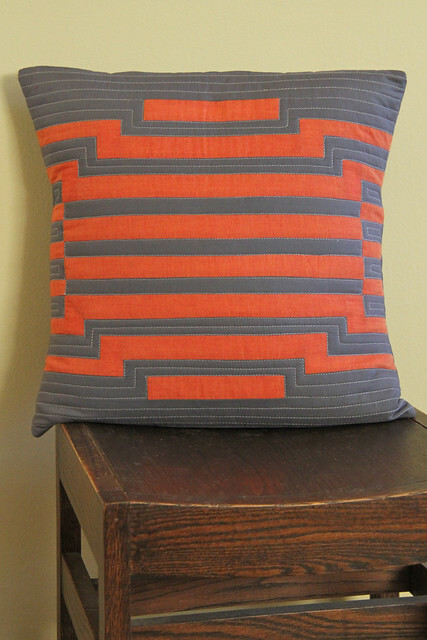 And the random number generator picked a winner of We Love Color! #128 who was Flavia. Congrats and keep an eye out for an email from me! 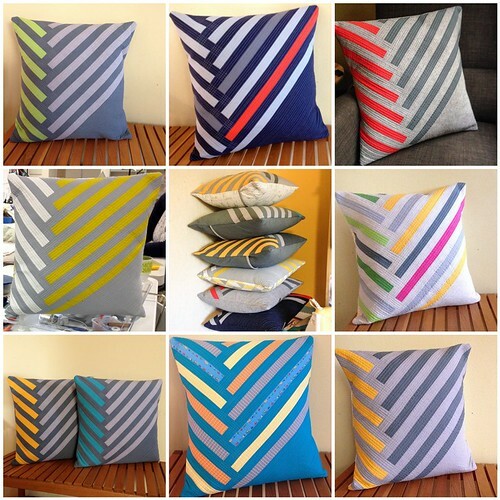 Check it out over at Sew, Mama, Sew! The next block is now up! 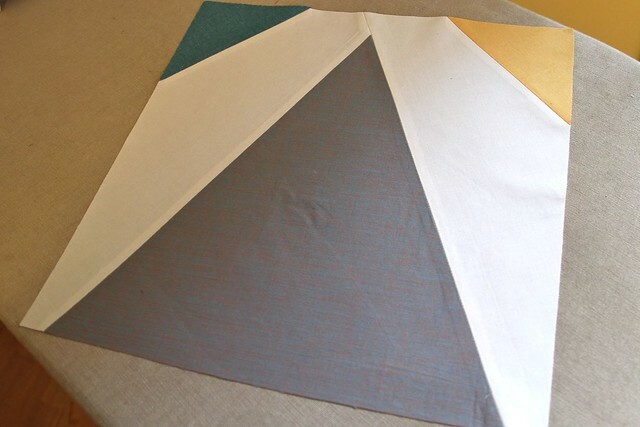 One thing before we get started - it's key that you use a uniform 1/4" seam allowance for all of this piecing or else it won't all line up correctly. But what to do with the center bit that falls right in the middle of all four portions? 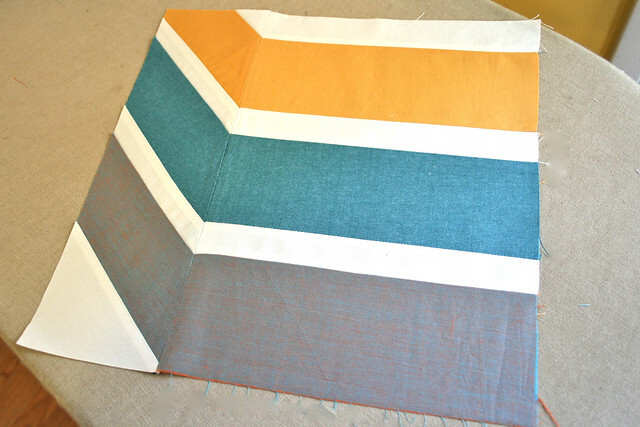 Then sew on the bottom left portion and then the bottom right portion. 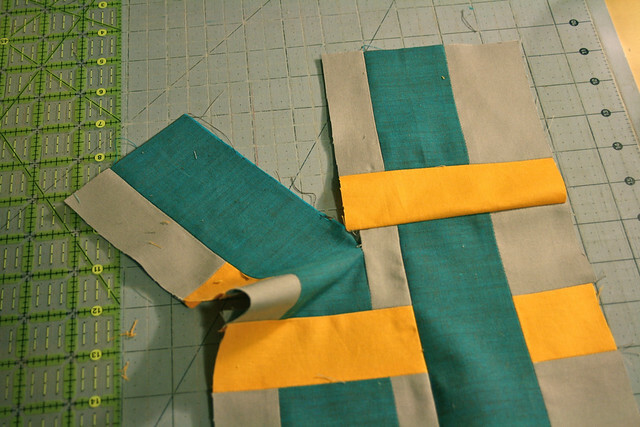 Three portions are now sewn to the center piece and now you'll use that unsewn part of the seam to sew on the final portion. 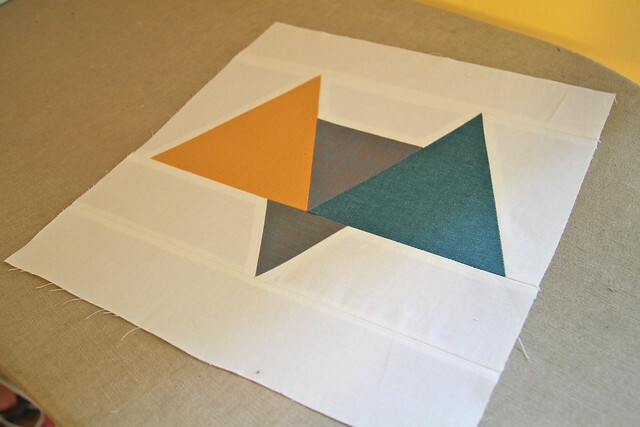 When you're done, your piecing will look like this. 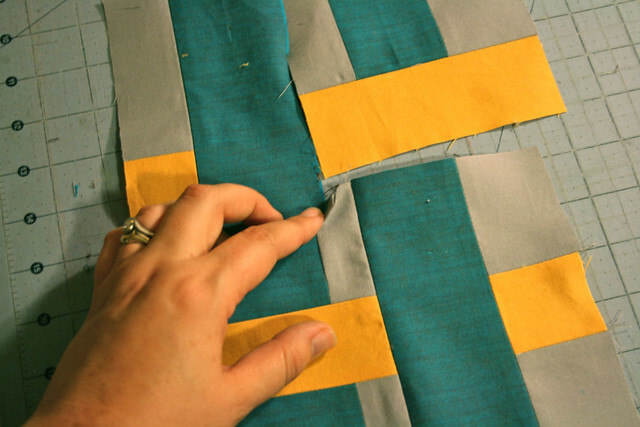 Finally, finish up by folding your piecing down the middle, right sides together, and sew the remaining seam until you get down to the already sewn part of the seam. You're all done! See? Easy enough! 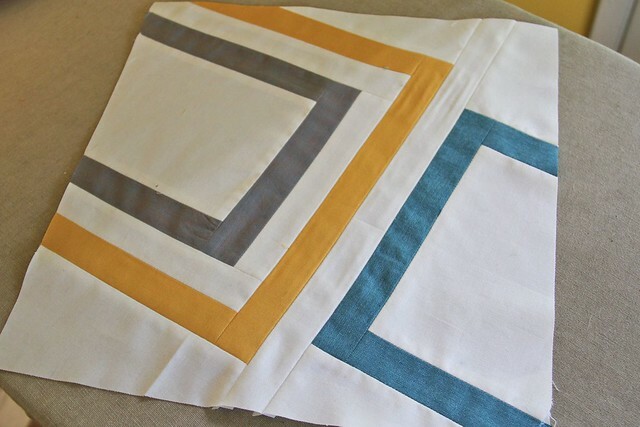 It gets more involved when you have a ton of these partial seams in your quilt top (there were a LOT in the top I just finished), but I find that having all the cut out pieces displayed on my design wall, thinking it through, assembling it piece by piece, and then portion by portion, works well for me. I don't think I could think it through if I didn't have it all laid out in front of me though. I'm a visual person. I need to see it to get it. This is just one more reason I think that a design wall is one of the most valuable things you can have in your sewing space! Also, thank you so much everyone for your kind comments about my last post. We're very excited!! 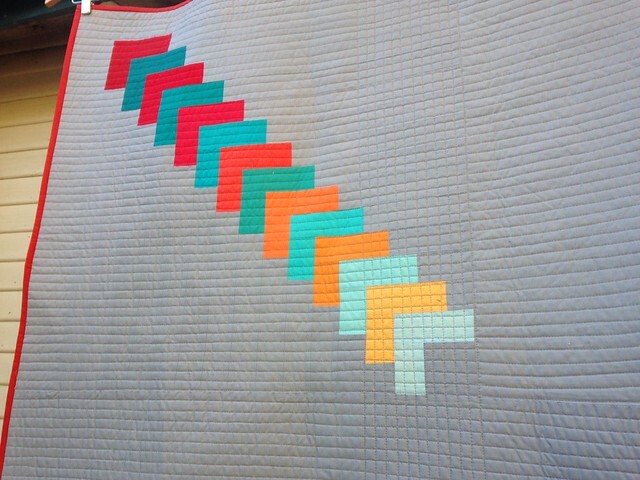 I'm just home from Quilt Market and it was an amazingly fun whirlwind. 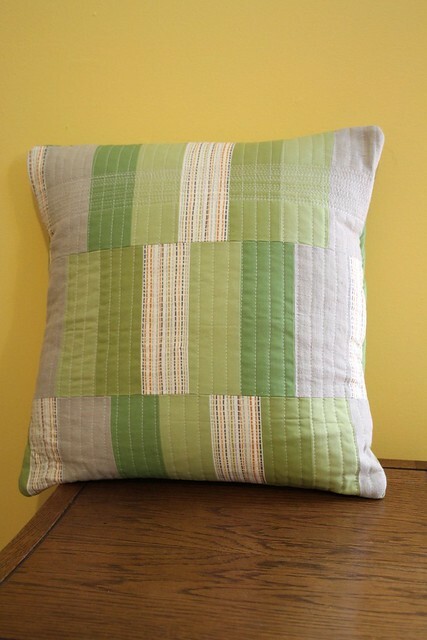 I'll post a bit more about it later this week but meanwhile, I have a pillow pattern up over on Janome's site. 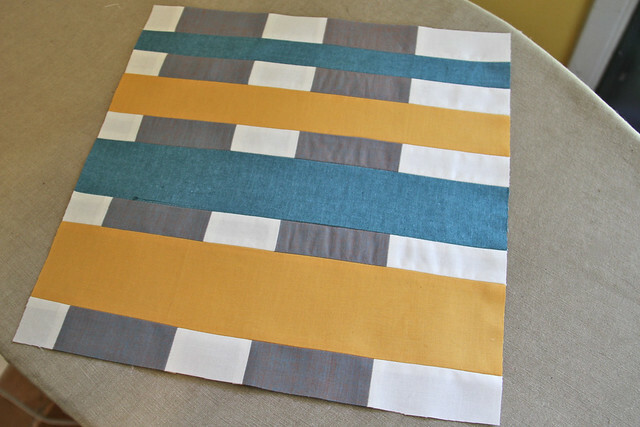 September's block is posted over at Sew, Mama, Sew! Triangles! How very unlike me, huh?? Hope you enjoy it! 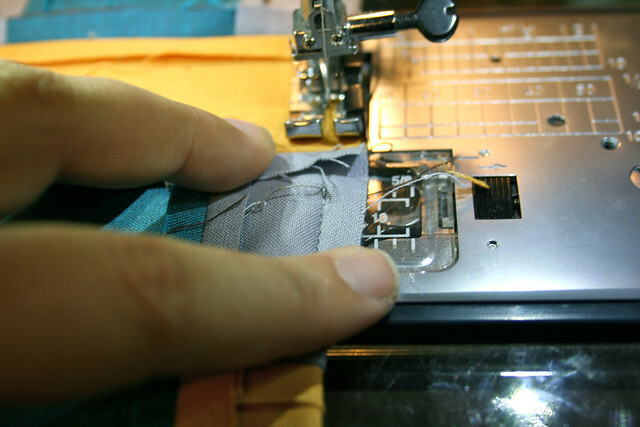 Did you see that Sew, Mama Sew! posted the second Modern BOM? 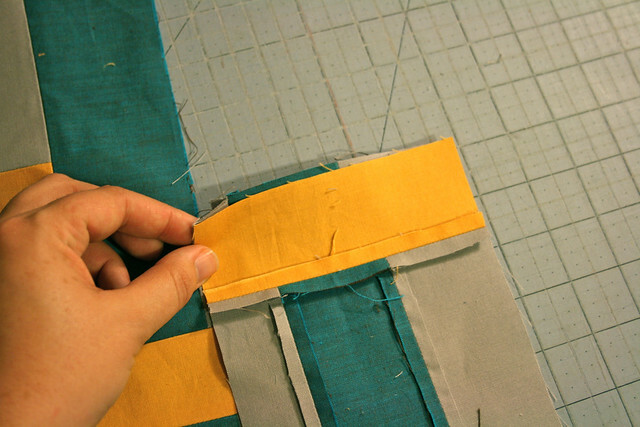 Sew, Mama, Sew! Block of the Month and more! 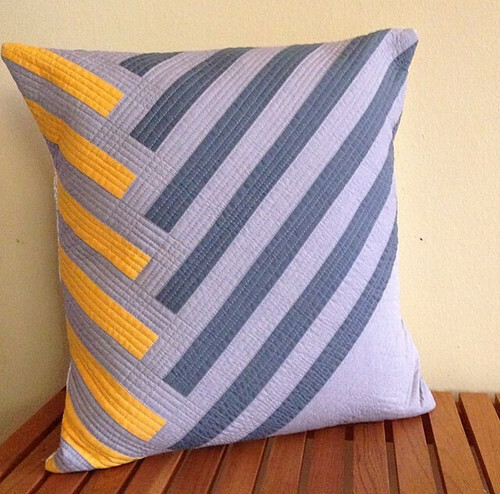 After a quiet week I'm back with a couple of things to mention... My Modern Block of the Month kicks off today over at Sew, Mama, Sew! 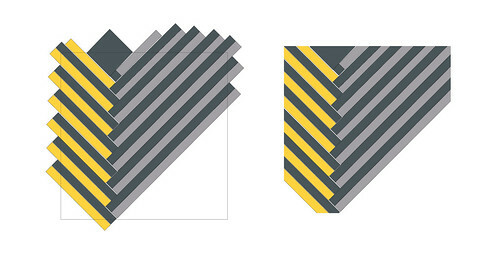 I'll be doing a new block design and tutorial each month for the next year. 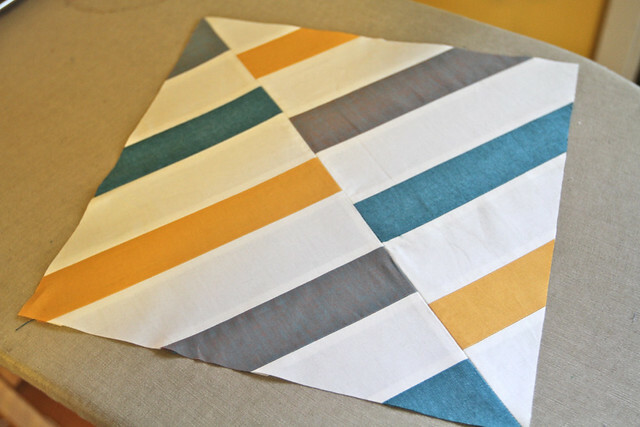 Check out July's block! Also, I'm going to be on Pat Sloan's radio show later today at 1:00pm PST, 4:00pm EST. 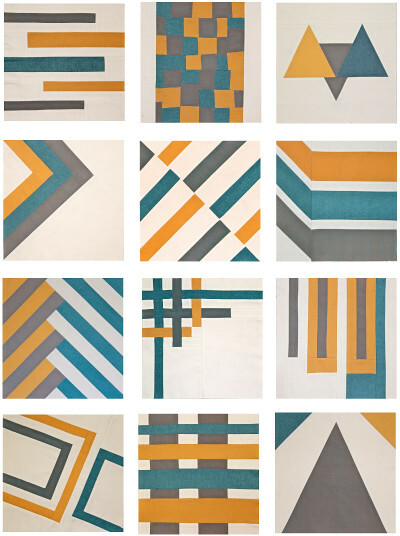 We're chatting about The Modern Quilt Guild and Block Party! Please do listen if you can! Finally, I also did a minor blog revamp over the weekend. Click on through if you read me in a reader and you wanna check it out. 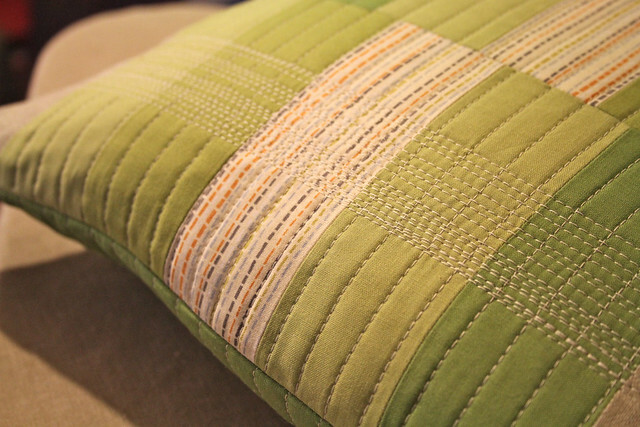 I wrote up a simple quilted pillow tutorial for Janome recently. You can find it here! 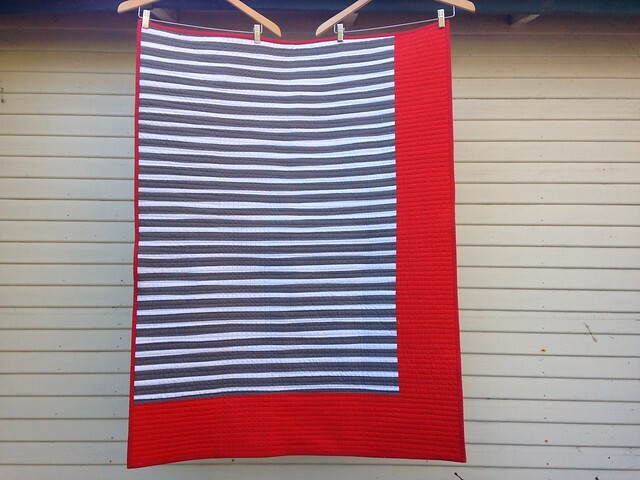 And now - the winner of Modern Log Cabin Quilting! Random number generator gave me number 19 out of 223 comments! So that's Alice R. who says: "I love the tweaking of the traditional log cabin. What a beautiful book – I have book lust big time!" Congrats Alice - keep any eye out for an email from me! And one last thing, Cate, my twin sister has her house in Apartment Therapy's Small Cool contest and it would be so great of you if you could click on over and "favorite" her place. You have to sign in or create an account but 1) I figure a lot of you already have an Apartment Therapy sign in name and 2) if you don't it just takes a second to create one! Thank you!! I'm pulling for her and her place is seriously so cute. 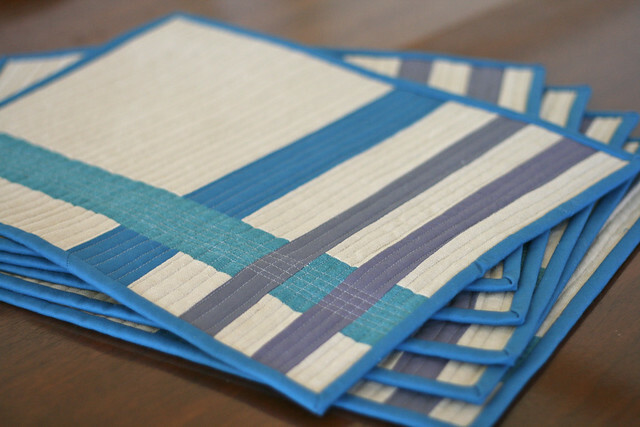 Be sure to check back on Monday - it's Sew, Mama, Sew's Giveaway Day and I'll be taking part. Hope you all have a great weekend! On quilting big quilts on a little machine. This one is huge. Huge. 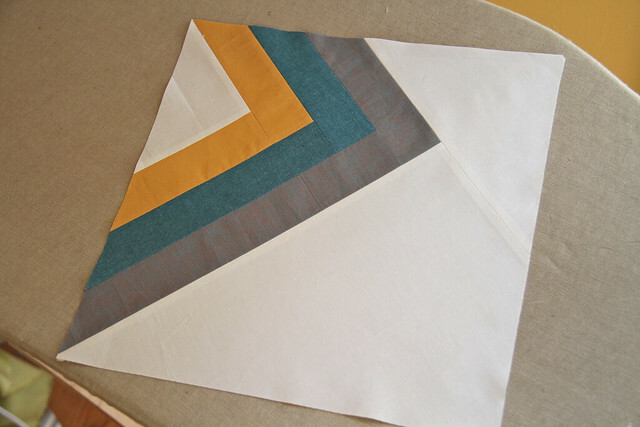 The goal was 95" x 100" but my 90" batting ended up not being quite wide enough so it will end up being about 92" x 100" (don't you love that a quilt will still fit your bed if you chop three inches off??). 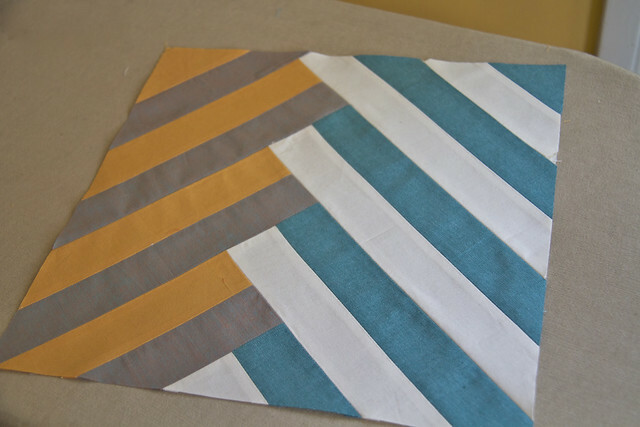 I wanted to straight line quilt it. 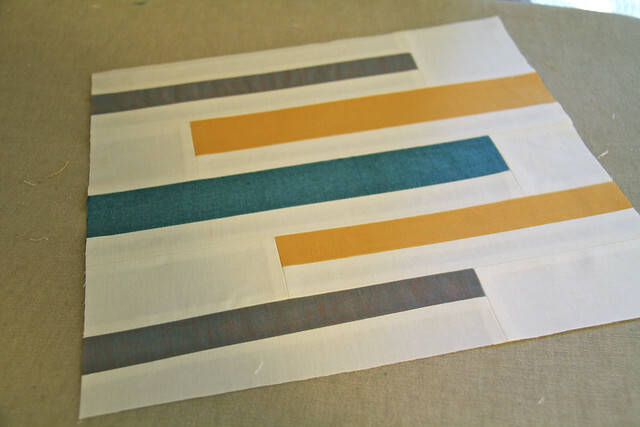 I wanted to do horizontal straight lines, every 3/4" to 1" over the whole thing. But my machine is limiting me. 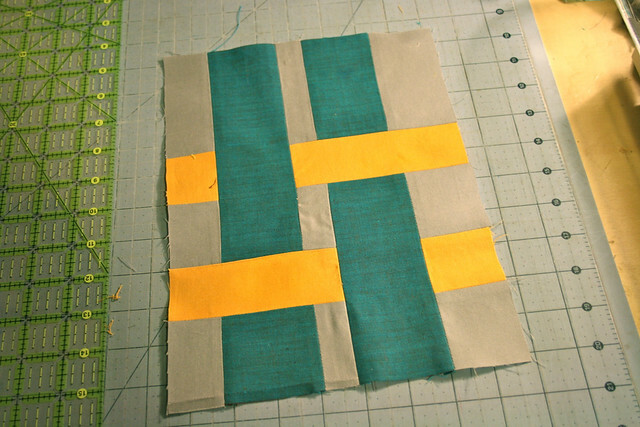 For the first time in my quilting life, I am consciously aware that my machine can't do what I want it to. 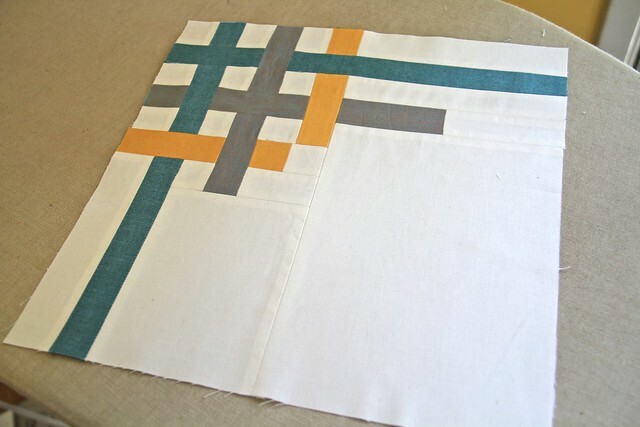 I simply can't straight line quilt a quilt this big for two reasons. 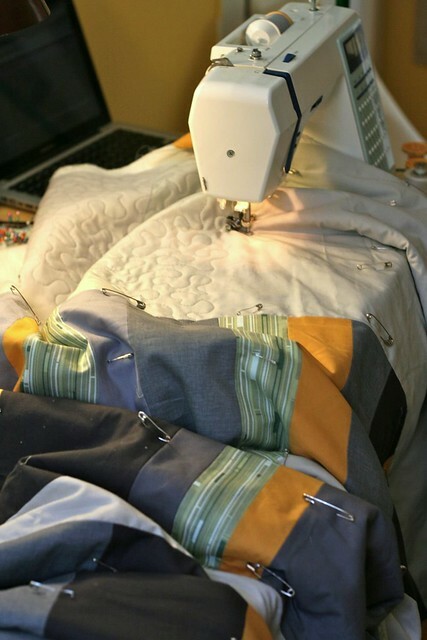 1) my machine will pull at the layers (even with the walking foot) and inevitably it won't look as clean as I want it to and 2) that's a whole lotta quilt to fit through the throat of my machine. 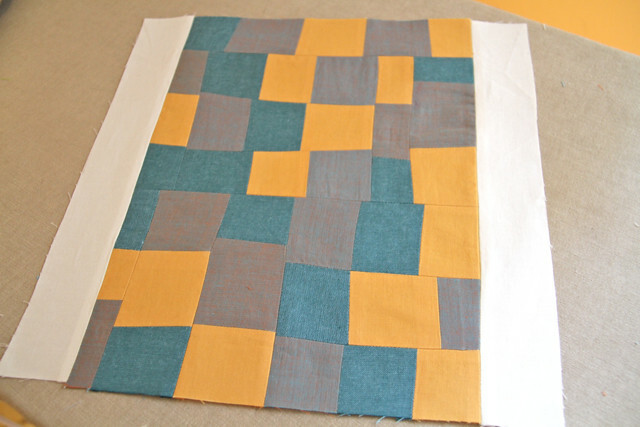 I find it possible with stippling in that you can shove and push and maneuver the quilt as you please - but with straight line quilting it all has to feed through in one straight motion. 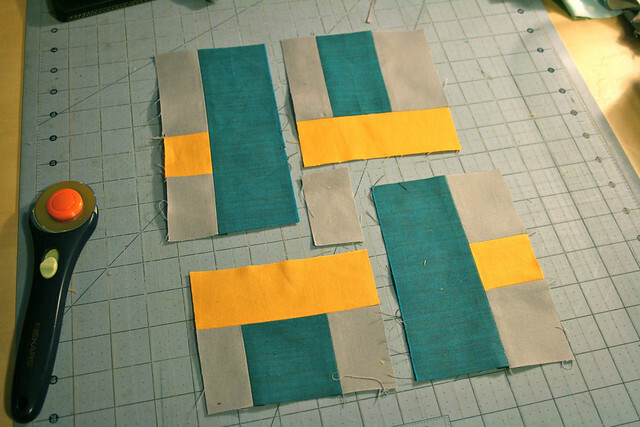 So - to any of you avid straight line quilters out there - are there secrets I don't know about? My thinking is that it's just probably way past time for me to upgrade on my machine, huh? Oh Janome Horizon - how I love you and covet you. 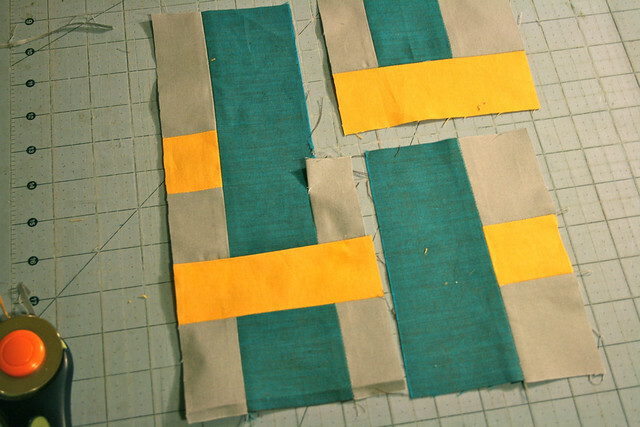 A couple of people have asked for a tutorial on the pebble quilting I've done. 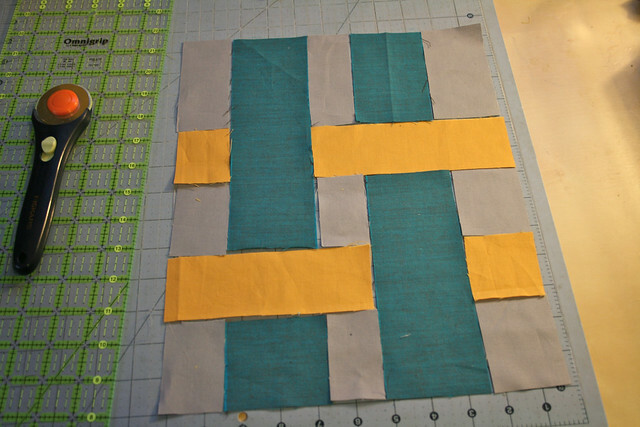 There is somuchinfo out there about free motion quilting that I'm not going to cover the basics again, but along with those other links, I have a post here about them. 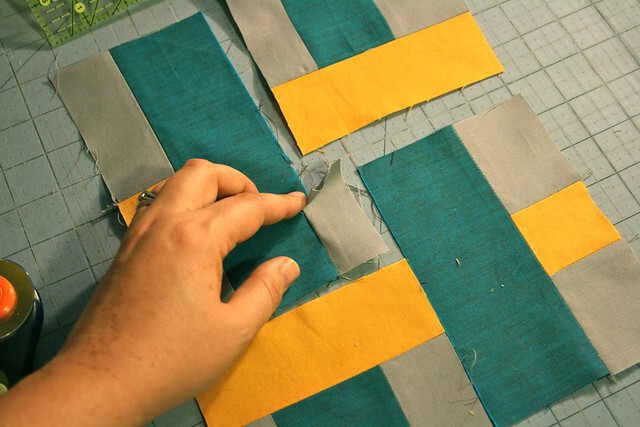 I figured it would just be easiest if I posted a little video of me doing the quilting. Check it out! I hope that having a visual example is helpful! I go around each "pebble" two full times and then move onto the next pebble. Sometimes I start a third time around in order to head off into the direction I'd like. 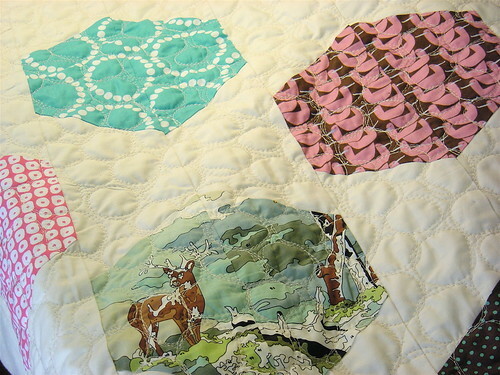 At first I thought it looked a bit sloppy, but the big picture is the key with this quilting - not each individual pebble. No one will notice if a pebble or two aren't just right. One thing to keep in mind is to keep the size of your pebbles basically the same. Over time they can gradually grow or shrink and you want to avoid that. Unless you choose to intentionally mix it up with the pebble sizes. Also, wind all the bobbins you can before you get started. You're seriously going to be going through some thread!